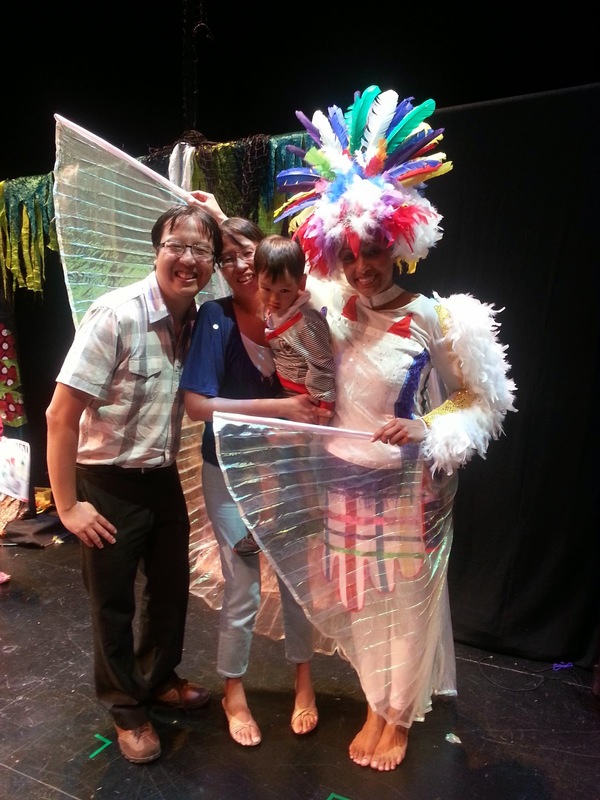 A review of “Starbird”, a production by the UK-based Toto Tales. Written for local family portal Little Day Out. Enter the ethereal forest of the Starbird, a magical creature whose wings dazzle in a shimmering burst of light. Sundown in this enchanted land always delights the senses; that’s as the Starbird performs a mystical ritual when it ascends to the skies and magically brings light to the stars, causing them to glow and to sing. And the dance of the Starbird bring solace to all around, providing the land with much peace and tranquility. But one day, a disgusting and destructive Hunter enters the forest. The Starbird trusts him intrinsically, even showing him the places where she lays her eggs. He betrays this trust, and even seeks to profit from what is closest to her heart - her eggs. Will the Starbird see through his plot, and will she escape from the greatest danger she has ever faced? Little Z has developed a love for theatre. Here he is excited to watch the "Starbird"! 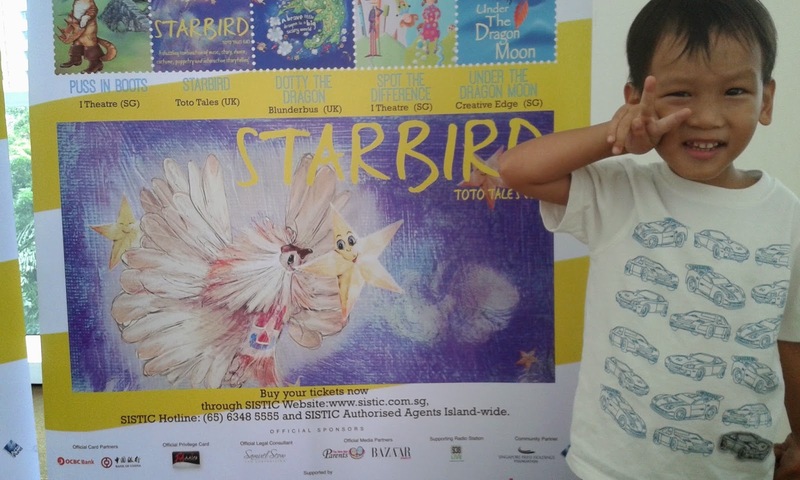 Toto Tales’ Starbird is based on a story by Nigerian-born writer Ben Okri. 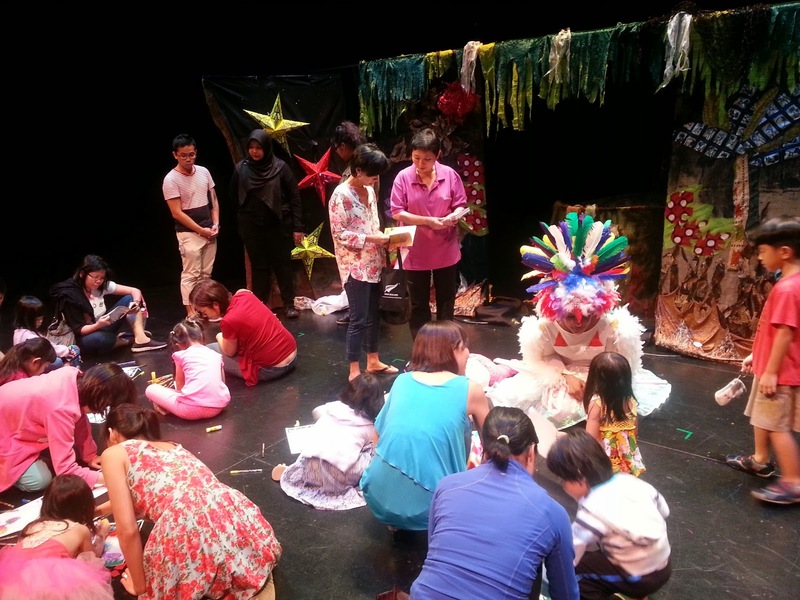 The play is premised on themes such as caring for nature and protecting one’s young. It also attempts to tackles a number of other issues such as oppression and injustice, but these themes are not resolved conclusively. The musical however makes up for this with the enchanted feel of the set and the outlandishly dazzling costumes. The magical dances are steeped in African-inspired music, filling the senses and transporting the audience into the fantasy forest of the Starbird. Starbird's two-member cast demonstrated much flexibility in the way they portrayed their different roles. While the Storyteller used her voice as a powerful instrument to connect powerfully with the children, the Starbird entertained with her cooing bird gestures and graceful dances. The post-production interactive time for children to unleash their artistic talent. The production was also strong in the way the two actors interacted with the audience. In addition, there was much spontaneity through how the performers utilised the answers provided by the audience and incorporated these elements into the play. The children then became highly involved in the adventure, either hiking up a mountain or travelling around the stage in a plane or train. Click here for the Little Day Out article. Starbird is part of the ACE! Festival 2014, and runs from now to 8 June. It is recommend for children aged 3 to 10.